Get more for your hard-earned money at the pet-friendly Quality Inn hotel in Columbia City, IN. 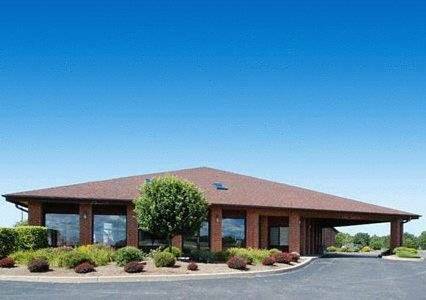 Situated right off U.S. Highway 30, we are close to the Fort Wayne International Airport, Wagon Wheel Theatre, Paiges Crossing, Whitley County Museum and the Eagle Glen Golf Course. Count on amenities like free hot breakfast, free WiFi, free coffee, and a free weekday newspaper. Guest rooms feature coffee makers and TVs. Also, earn rewards including free nights and gift cards with our Choice Privileges Rewards program. A private collection of pit toilets was donated to a local park by a civic-minded citizen, and displayed outdoors where they belong. ~22 miles from Columbia City. Armed policemen would sit in this thing. Built in 1939 to discourage gangsters from driving through town, the Goshen Police Booth is preserved by the Goshen Historical Society. ~33 miles from Columbia City. Hall of fame and museum devoted to trailers, RVs, and mobile homes -- from the world's oldest Winnebago to the world's smallest Airstream. See Mae West's motor home! ~43 miles from Columbia City.